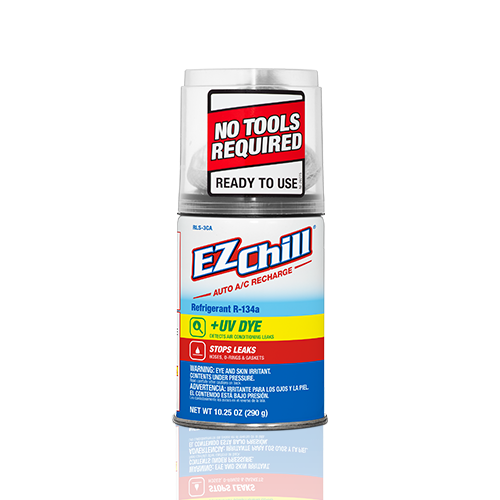 This EZ Chill® refrigerant all-in-one kit has a specially designed formula of R-134a and additives. The approximately 10 oz. 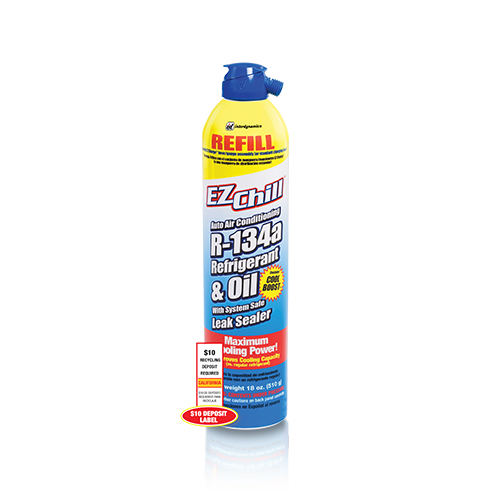 of R-134a and 0.25 oz. 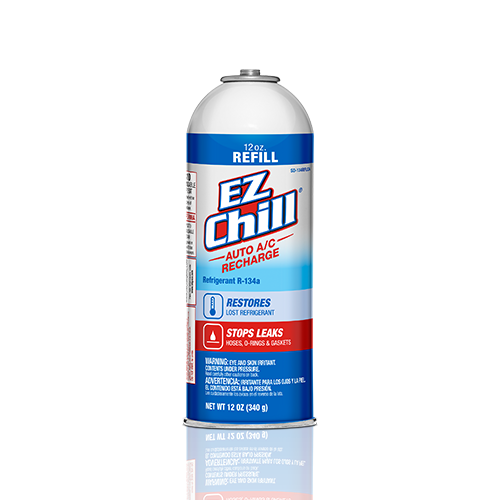 of additives are used to recharge a vehicle's A/C system, seal common leaks in the A/C system's rubber components, and identify any leaks that were too large to be sealed. 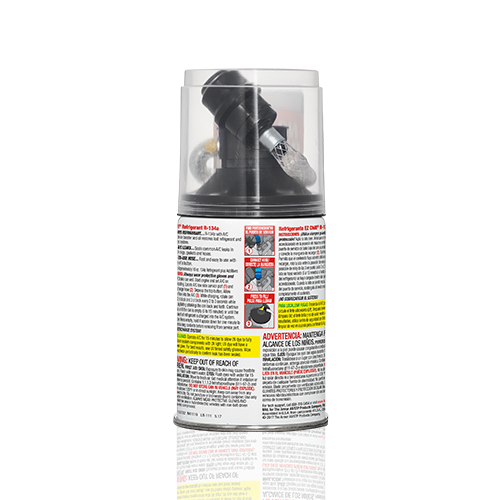 The built-in recharge hose with push button dispenser provides an all-in-one, no tools required recharge solution.